Under the orientation of Professor Graziela Tonin, the students of Topics on Software Engineering are developing a system to help See World, the new theme park in town, allocate orcas in two huge tanks. The orcas have particularly a very complex social hierarchy, of at least 4 levels, and it is curious that orcas are capable of vocalising different dialects, depending on the level of the social hierarchy by which they are related to their interlocutor. One of the hardest difficulties about maintaining orcas in captivity is that, if two orcas are put together in a same tank but they speak no dialect in common, they will eventually fight, for they do not understand each other and they come from totally different cultures. Sometimes they can suffer severe injuries or even die. 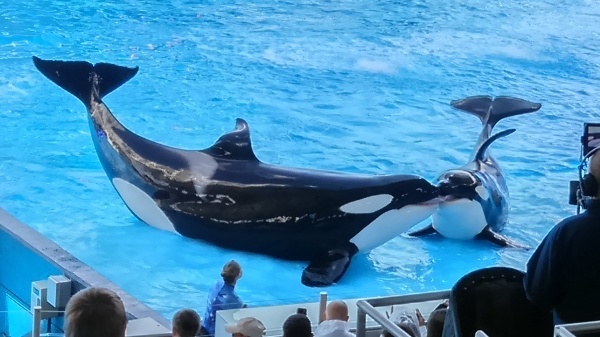 Thus, See World wants to allocate its orcas in its two tanks in such a way that, if two orcas are allocated in a same tank, it is guaranteed that they share at least one common dialect. The first input line consists of an integer N (1 ≤ N ≤ 103), which represents the number of See World's orcas. By the way, each See World's orca is represented singly by a single code between 1 and N. Each one of the N lines following consists of N integers, so that the jth integer of the Ith line (1 ≤ i, j ≤ N) is 1 if the orcas of codes i and j share at least one dialect or 0 otherwise. Print a line containing singly the expression Fail! if it is not possible to allocate the orcas in the tanks as desired or the expression Bazinga! if it is possible.